Is there anything more exhilarating than getting behind the wheel of a sports car? When that sports car is the redesigned 2019 Camaro, that feeling reaches a higher level thanks to the bold new look, performance, and enhanced technology. Introduced to the Camaro lineup, the LS has the right amount of nimble power with a 2.0L engine, 6-speed manual transmission, and 275 hp. Also available for the LS is an 8-speed paddle-shift automatic transmission. Building upon the LS, comes the 1LT that has 6-way power adjustable front seats, 18-inch wheels and SiriusXM® radio. The 2LT places the driver in the lap of luxury by adding heated and ventilated leather-appointed front seats and dual-zone automatic climate control. The 3LT takes things to another level by adding a standard 3.6L 335 hp V6 engine, Chevrolet Infotainment 3 Premium with Navigation, and Bose® Premium audio. The Camaro 1SS turns its focus to performance with a standard 6.2L 455 hp V8 engine, 20-inch aluminum wheels and summer-only performance run-flat tires. Building on the prowess of the 1SS, the Camaro 2SS adds premium amenities such as heated and ventilated leather-appointed front seats, head-up display, interior spectrum lighting and much more. Engineered to crown the Camaro legacy with a supercharged 6.2L V8 engine that offers 650 hp and 650 lbs. of torque is the 2019 Camaro ZL1. The model is equipped with a 6-speed manual transmission with Active Rev Matching or an available paddle-shift 10-speed automatic transmission. 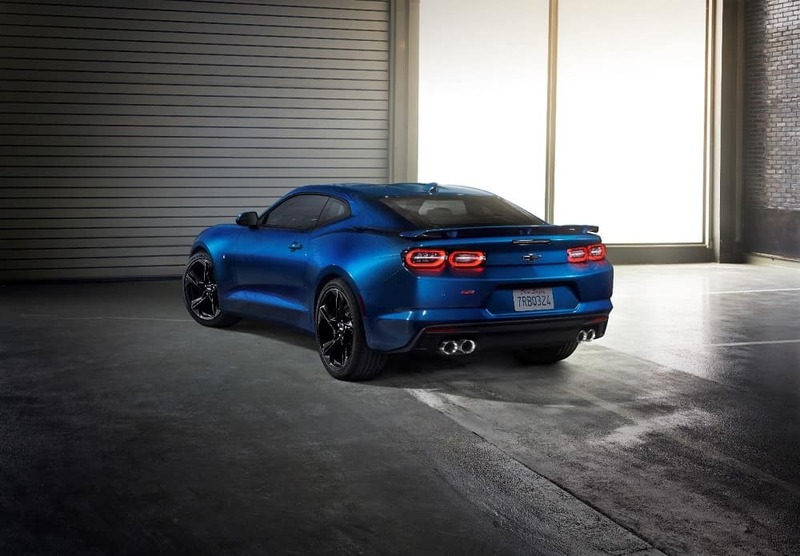 The 2019 Chevrolet Camaro has four powertrain options that are ferocious and dominates the road without sacrificing efficiency. Standard in the Camaro LS, 1LT, and the Camaro 2LT, the 2.0L Turbo engine can go from 0 to 60 in 5.5. seconds1. Direct injection and Variable Valve Timing are matched with 275 hp and 295 lbs. of torque. Available in the Camaro LT, the 6.3L V6 engine can go from 0 to 60 in a mere 5.1 seconds1. Offering 335 hp and 284 lbs. of torque, direct injection and Variable Valve Timing and an available 8-speed automatic with Active Fuel Management™, this powertrain has a need for speed. Standard in the Camaro SS, the 6.2L LT1 V8 offers 455 hp, 455 lbs. of torque, and can go from 0 to 60 in a matter of 4.3 seconds1. The direct injection and Variable Valve Timing mean efficiency isn’t an issue. Also available is a 10-speed paddle-shift automatic transmission. Standard on the Camaro ZL1, the Supercharged 6.2L LT4 V8 boasts 650 hp, 650 lbs. of torque, and can go from 0 to 60 in only 3.5 seconds2. Also available is a 10-speed paddle-shift automatic transmission, allowing drivers more control while driving. Featuring a refined cockpit built for performance driving, the 2019 Chevy Camaro is designed to connect the driver with the road. Elements such as aggressive seat bolsters, leather-wrapped flat-bottom steering wheel, and ergonomics designed for optimal shifting enrich the connection between the driver and the road. And show what it’s like to have a top-of-the-line American-made car interior. Driver-centered technologies optimize the performance driving experience making brute force a thing of the past with the all-new 2019 Chevrolet Camaro. Real-time traffic information is front and center in the navigation system with the new Chevrolet Infotainment System. The Chevrolet Infotainment System also allows Bluetooth®3 connection for two active phones at once, and so much more. Whether you’re looking to turn heads or make a bold statement, there’s a 2019 Camaro and trim that can make it possible. 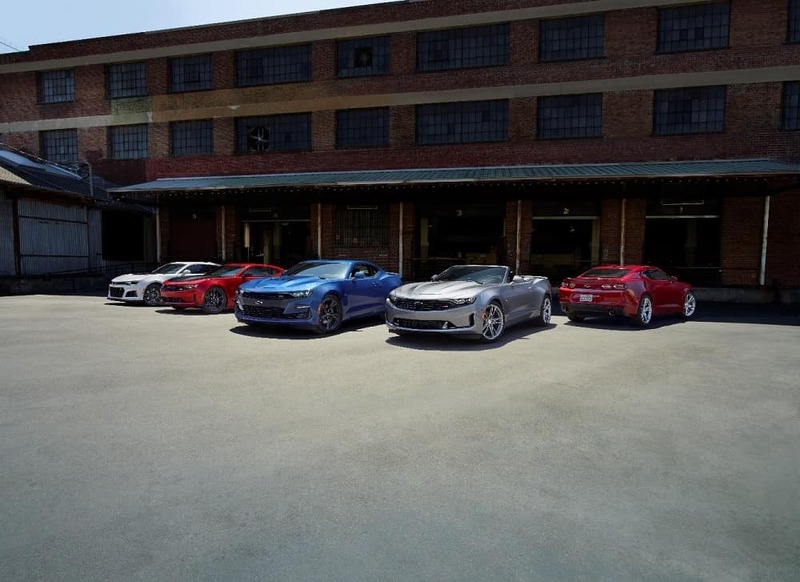 To find the Camaro for you, head to the DePaula Chevrolet showroom in Albany, New York. 1 Based on initial vehicle movement. Coupe models with manual transmission. 2 Based on initial vehicle movement. Coupe models with available 10-speed automatic transmission. 3 Visit my.chevrolet.com/learn for vehicle and smartphone compatibility.